Roulette is pleased to present Fresh Squeezed Opera as they premiere works by composers Whitney George, Gabi Herbst, and Gemma Peacocke for female voice, ensemble, and electronics. The ongoing project, The Female Gaze, is a feminist-take on concept of the male gaze: the creators are women, the vocalists are women, the characters are women, and the intended audience is women. This provides a unique opportunity for women composers and directors to work together to take back their perspectives, to embrace a female purview, and experiment with what a female idiom could entail. The selected women composers are given a safe space to experiment with new sounds–acoustic and electronic– and workshop with FSO’s Company members,. The 2018–19 iteration will be a semi-staged presentation of three world premiere pieces for female voice, ensemble, and electronics commissioned by FSO from Whitney George, Gabrielle Herbst, and Gemma Peacocke. Join us for a pre-show talk with the composers at 7:45pm. Moderated by Fresh Squeezed Opera’s Executive Director Jillian Flexner. Sponsored by Composers Now and Fund for the City of New York. George’s piece, Lost Without You, is a rumination and meditation on the inner dialogue women have with ourselves as individuals, and our constant negotiation/renegotiation of “the self.” Created from the female perspective, the work makes use of live processing to create the feeling of being in the headspace of the performer, or the narrator/storyteller. Lost Without You is a statement of the impact of the words of others and the impact of the words we speak to ourselves, especially as women. Peacocke’s piece, Invocations, examines “witchiness” and the dichotomy between taking misogynistic words back today. Using fixed media and an intimate ensemble of voice, piano, and cello, Peacocke’s piece uses each instrument woven within each other to tell the twisting story of sexist words throughout history. Herbst’s piece, First Lady of the Air, is a work inspired by the life of Amelia Earhart. Composed for voice, flute, clarinet, piano, percussion and electronics, the piece investigates Amelia’s inner world and dialogue as well as what she has come to represent in our culture. Using found text from her conversations, radio translations from her last flight, and poetry about her drawn from the imagination of others, this composition meditates on flight, fear, and facing the unknown with an unrelenting propulsion of forward movement. Supported by a strong community of composers and performers, Fresh Squeezed Opera presents genre-pushing new works of the highest caliber that explore the depths of operatic music. We believe that collaboration across disciplines, fields, and media pushes the genre of opera forward. FSO connects singers and composers, and gives them the resources to collaboratively create new work and grow professionally. 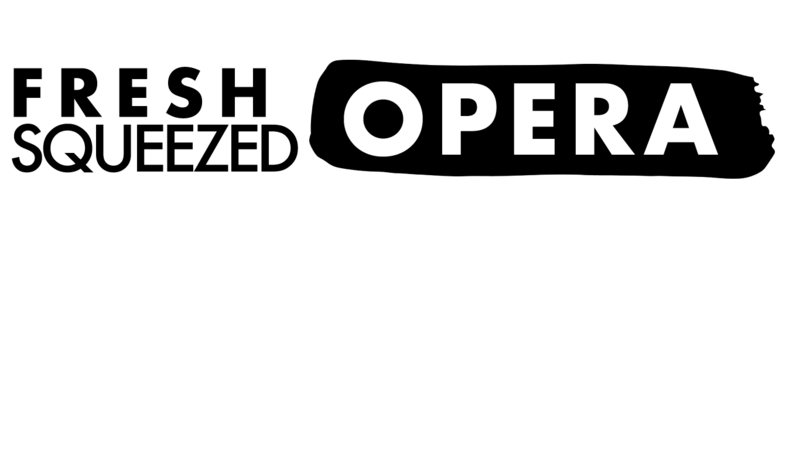 There is a role for opera in contemporary society, and we present operas that current audiences and New York communities can connect and engage with. Founded in 2013, Fresh Squeezed Opera dedicates itself to providing composers with a platform to present their new music, specifically focusing on vocal works and fully-staged opera. In our five years of operation, we’ve proudly presented over 25 composers’ works, with consistently sold-out houses as a testament to the power of new music. Fully-staged operatic productions include Knot An Opera! (Constantin Basica)†, Here be Sirens (Kate Soper), Scopes (Spencer Snyder)*, Prix Fixe (Kevin Wilt)†, The Yellow Wallpaper (Whitney George)*, Baby Shower (Bruce Trinkley)†, and La Zombiata (Jillian Flexner)*. Forthcoming fully-staged performances include The Switch (John Aylward)†, Bound (Huang Ruo)†, and Self.Fembot (Jillian Flexner)*. Whitney George is a composer and conductor who specializes in the use of mixed media to blur the distinctions between concert performance, installation art, and theater. George’s compositions are characterized by an immersive theatricality that thrives on collaboration in all phases of the creative process. Her affinity for the macabre, the fantastic, and the bizarre frequently gives rise to musical programs that evoke the traditions of phantasmagoria and melodrama, challenging musicians to experiment liberally with their stage personae, and audiences to widen the scope of their attention. She is the artistic director and conductor of The Curiosity Cabinet, a chamber orchestra formed in 2009 whose members were culled from a network of close collaborators within New York’s diverse new music scene. George also conducts Ursula Oppens’s conTEMPO ensemble at Brooklyn College Conservatory as well as the Face the Music Youth Orchestra. George holds an undergraduate degree from the California Institute of the Arts, a masters degree from Brooklyn College Conservatory, and is currently continuing her studies as a PhD candidate at the CUNY Graduate Center, where she studied with David Del Tredici, David Olan, Bruce Saylor, and Tania Leon. In addition to her composing and conducting, George teaches at the Brooklyn College Conservatory, works at the Hitchcock Institute of American Studies and is the Managing Director for New York’s American Modern Ensemble (AME). Gabrielle Herbst (b. 1986) is a composer and vocalist residing in New Haven. She has premiered her compositions at Roulette, National Sawdust, The Stone, Cabinet Magazine’s Exhibition Space, Issue Project Room, and HERE Arts Center. 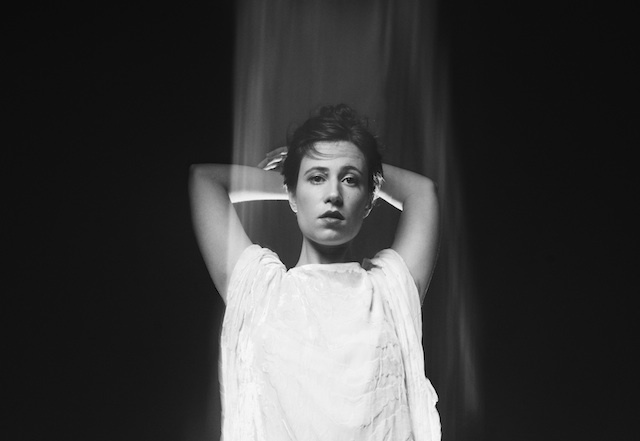 Recipient of the 2011 Artist Residency at Robert Wilson’s Watermill Center in partnership with New York Theater Workshop, Herbst received commissions from Roulette and the Jerome Foundation, Sugar Vendil and the Nouveau Classical Project, Duo Noir, Experiments in Opera at Issue Project Room and Fresh Squeezed Opera. She was a 2012 Con Edison Composer-in-Residence through Exploring the Metropolis, Inc., a 2013 Composer-in-Residence at Atlantic Center for the Arts and a 2018 Composer-in-Residence at Roulette where she developed her second opera in progress, Ashes. As a featured vocalist she has performed with Valgeir Sigursson, Zeena Parkins, Missy Mazzoli, Elliott Sharp, Da Capo Chamber Players, Contemporaneous, Allie Avital Tsypin at The Kitchen, and Marina Rosenfeld’s Teenage Lontano in the 2008 Whitney Biennial. She has studied composition with Joan Tower, Marina Rosenfeld and Zeena Parkins, voice with Ilka LoMonaco, and clarinet with David Krakauer. Gabrielle Herbst’s formal training began at an early age, studying Balinese dance and gamelan in Indonesia while learning both the clarinet and piano. She continued her training at Bard College where she studied voice and composition. Her work has been showcased at Robert Wilson’s Watermill Center, as well as Roulette, who in 2014 commissioned and premiered her first opera, Bodiless. 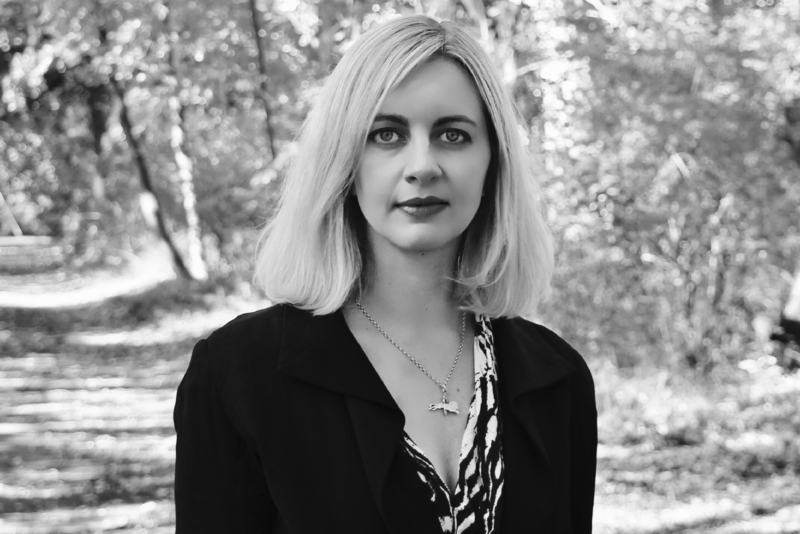 Herbst’s experience writing for chamber orchestra and mixed instrumentation inspired her to develop a repertoire of short-form, vocal-centric compositions under the name GABI. These were driven by solitary explorations in early 2013 with a dual-track loop pedal. The nine songs composed for her debut album, Sympathy (Software Recording Co), embrace the vast potential of the human voice as instrument, story, and landscape. In 2015 she toured Sympathy in Europe and North America including David Byrne’s Meltdown Festival in London and the Pop Kultur Festival in Berlin, the Andy Warhol Museum, Pittsburgh, The Rest is Noise at the Muziekgebouw, Amsterdam, The Great Escape, Brighton, UK, Start the Bus, Bristol, UK, Marfa Myths Festival, Marfa, TX, Official showcase at SXSW, Austin, TX, The Wick presented by Pitchfork and the Tinnitus Music Festival, Club Los Globos, Los Angeles, DNA Lounge, San Fransicsco, CA, and Le Poisson Rouge, NYC, to name a few. Recent touring has included Casa Del Popolo presented by Pop Montreal, Quebec, the Slingshot Festival in Athens, GA, the New Media Art and Sound Summit in Austin, TX, and a series at Roulette curated by Meredith Monk. She currently attends Yale School of Music for composition where she studies with Martin Bresnick and Aaron Jay Kernis, and released her sophomore album, Empty Me, on Double Double Whammy in the fall of 2018. Gemma Peacocke is a composer and based in Princeton, New Jersey. 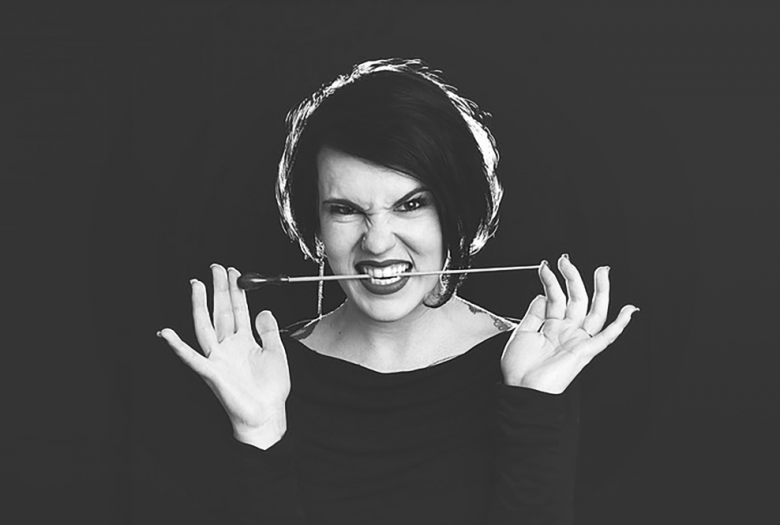 Originally from New Zealand, she writes instrumental and vocal music, electronic music, and a combination of both. She likes finding ways to seamlessly combine and move between electronic and acoustic sound worlds. Peacocke’s work focuses on how music can amplify the voices of under-heard groups of people. She frequently collaborates with directors, filmmakers and choreographers, and in 2016 worked with director Benita de Wit on her play Undrown’d about asylum seekers held in offshore detention centres. Recently, Peacocke completed a song cycle called Waves + Lines based on landays – female Afghan folk poems – adapted from Eliza Griswold’s book I Am the Beggar of the World. A piece for choir, piano four-hands and electronics, Pacific, premiered with the support of the Peace and Disarmament Education Trust (PADET). The JACK Quartet premiered a new string quartet called Erasure at the end of September. Peacocke currently is working on several projects including a percussion and electronics piece for Kaylie Melville, and a percussion quartet for Mari Takeda. She is presently a PhD candidate at Princeton University. The Composers Now Festival celebrates living composers, the diversity of their voices, and the significance of their musical contributions to our society. During the month of February, the Festival brings together myriad performances ranging in genre from jazz to indie, classical to post-classical, experimental to folk, and beyond. Composers will be in attendance at all events. Composers Now is a project partner of The Fund for the City of New York. This project is made in possible in part with generous funds from the Francis Goelet Charitable Lead Trusts.